Online lunch & student fee payments made easy, convenient, and available any time! 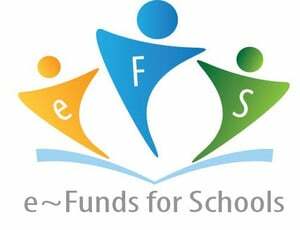 The School District of Slinger is pleased to have partnered with e~Funds for Schools. Parents can now make lunch and student fee payments online from a checking account or credit/debit card. You are in full control of your account and can make a payment at any time that is convenient for you, 24 hours a day, 7 days a week. The convenience and flexibility of e~Funds for Schools helps eliminate last minute check writing hassles, makes payments more efficient, and also helps the school reduce its costs. All payments are secure and utilize the latest encryption technology, plus no payments are allowed without your knowledge and authorization. e~Funds for Schools is free to the school. Parents who want access to this electronic payment service pay a small convenience fee on each transaction. Click HERE for more information. Click HERE for Step-by-Step Instructions for Parents. Ready to get started? Click HERE to go to e~Funds for Schools. Want to pay from your phone? A mobile app is available. Please note... to link your online transactions to your Slinger student, you will need their student Id number which can be found within Family Access, Student Information, listed as "other id".